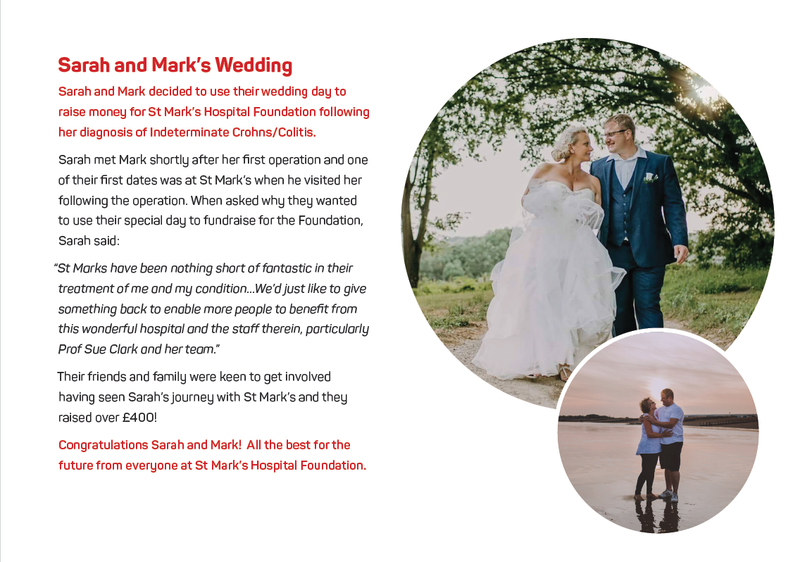 A Celebration Event is a great way to thank your medical team for all their hard work, celebrate a special occasion such as a wedding, birthday or anniversary, or remember a loved one by raising money for St Mark’s Hospital Foundation. 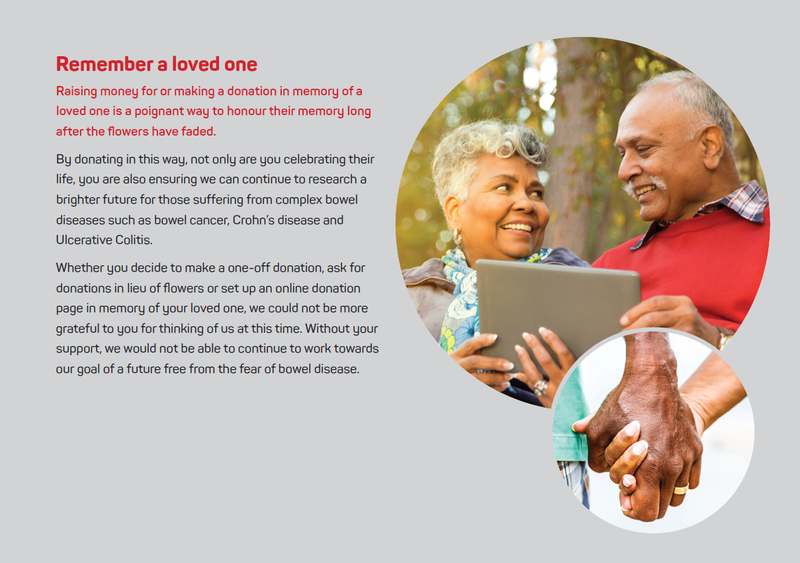 With monies often raised in lieu of presents, gifts or flowers, a Celebration Event is a fantastic way to mark life’s important events and celebrate the lives of loved ones. In doing so, you will be helping us to reach our ultimate goal of a future free from the fear of bowel disease. 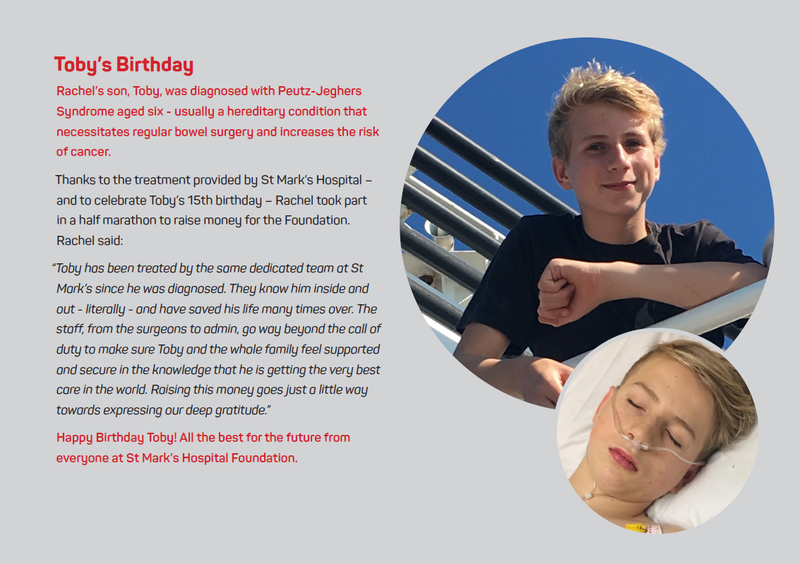 With each research milestone reached, you will give us (and our patients!) a reason to Celebrate! 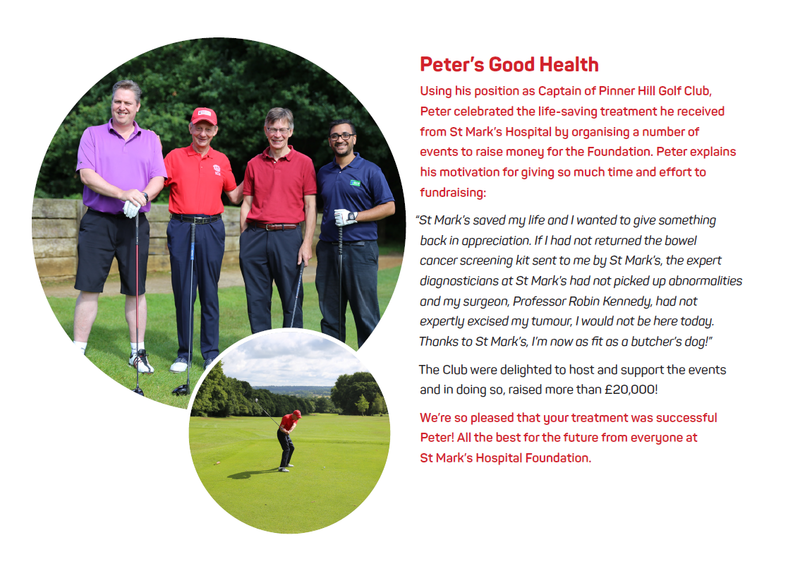 Keep reading to find out more about supporters who have already used their special event to support St Mark’s. that you’ve thought of us at this time. Thank you.